Do you want more traffic, leads, and sales? Enter your email below if you want to grow your traffic and revenue. At Grand Digital Solutions we create custom digital marketing campaigns, specifically for your businesses needs! Your website is your business card. A well structured and styled website paired with an appropriate marketing campaign will allow you to brand your business all over the web. Grand Digital Solutions creates customized websites around the values and services your business upholds to engage every customer that is directed to your online site. A strong local presence is vital for long-term sustainable marketing strategies. Your business is exposed to the three largest search engines in the world: Google, Yahoo, and Bing. We also register your business in the top 58 online directories relevant to your specific industry. Grand Digital Solution’s objective is to work with your business to obtain and maintain high local visibility by keeping your website updated and identical across local and industry listings. A strong social media presence is vital for all business in todays world. Your business is will be marketing on the top 3 social media websites: Facebook, Instagram and Twitter. This will allow your business to reach new potential clients and engage your existing clients. A Google Adwords campaign is a pay per click advertising campaign based on keyword selection, also known as Google Ads. The entire internet advertising world revolves around choosing the most suitable search terms and keywords for your business. Grand Digital Solutions provides intelligent keyword research and analysis to direct the largest volume of customers to your website and ensures the highest return on investment. Social Media Ad Campaings are pay per click campaigns that are either run on Facebook Ads or Instagram Ads. These campaigns are great for all businesses that are looking to increase their businesses clicks, impression or brand reconigition. At Grand Digital Solutions our team of content creators work around the clock to generate new and relevant content for your website, blogs, and social media platforms to boost audience activity. This team consits of a designer, photographer and a copywriter. With a little collaboration with our team we will be able to create custom content that cannot be matched! By using the Google Speed Insights Test below you will be able to find out if your website is up to Google’s standards. With a little bit of time and collaboration, the team at Grand Digital Solutions can bring your company to the forefront the the internet. By creating custom websites, content, social media campaigns and local listings. Grand Digital Solutions is a Digital Marketing firm. We represent direct access to growing opportunities on the online platform. Our company is the product of years of experience and mentored training across the United States. We specialize in creating premium websites designed to place your growing business at the forefront of your consumer base. In which will give you the competitive edge you are looking for. The entire marketplace is the fastest growing and most efficient place to increase client base and grow your company. Whether it is to increase your online traffic in attempt to boost sales or expand quality clientele your business is looking for. We are here to give you solutions. Grand Digital Solutions specializes in the ever-growing online marketplace. Together we create a custom website to attract your ideal consumer. From there we utilize a PPC campaign to drive traffic to your new custom website to ensure that your business thrives. Grand Digital Solutions is a digital marketing firm that was founded in Costa Mesa, CA in late 2017. Since then Grand Digital Solutions have helped hundreds of businesses all around the United States achieve success online. Want so see some of our work? Here are some of our current clients! Are you interested in learning more about digital marketing? 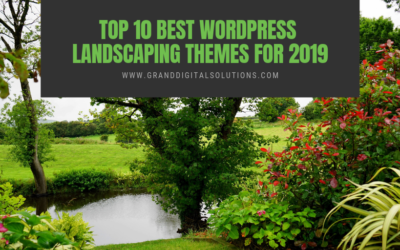 If you answered “Yes!”, take a look at some of our most recent blog posts! 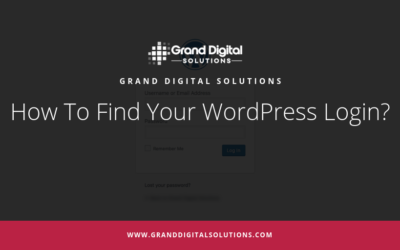 How To Find Your WordPress Website Login? 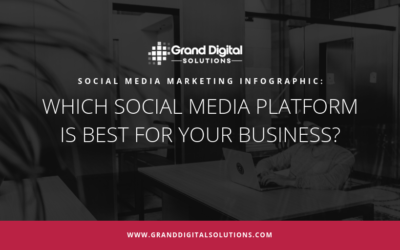 Social Media Marketing Infographic: Which Social Media Platform Is Best For Your Business? Get in touch with the marketing experts today by clicking the link below! Keep up with all of our promotions and new services by signing up for the Grand Digital Solutions Newsletter!